Try these creative writing worksheets anytime you need a fun, worthwhile activity. These come with a special twist: You can ask students to include any set of ten spelling words in their stories! These are unusual worksheets because they ask students not to write long, involved stories or essays. Instead, the assignments involve short, contemporary topics. 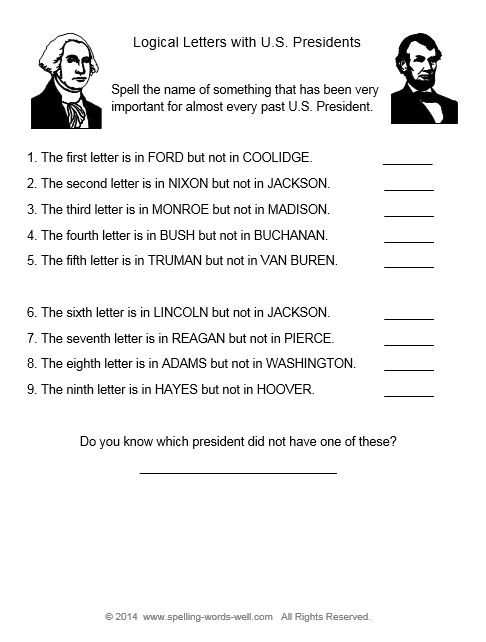 These fun worksheets will spur a lot of ideas which you may choose to build upon in future writing assignments. Students add 10 spelling words to the worksheet. Then they think of a new video game and describe how it works, using as many spelling words as possible. Printable links to all worksheets are below. Again, students add 10 spelling words to the page. Then they draw a new T-shirt design and describe their shirt, using lots of spelling words. 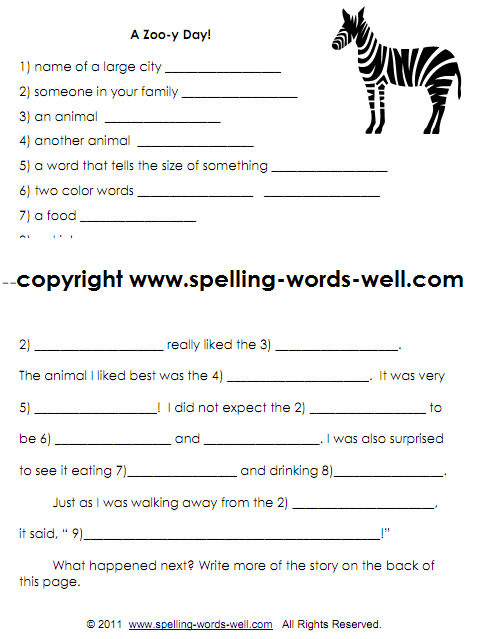 Following the pattern of the previous pages, students will write 10 spelling words on the page. Then they are asked to write a fabulous movie title using each spelling word. Fun, thought-provoking exercise! 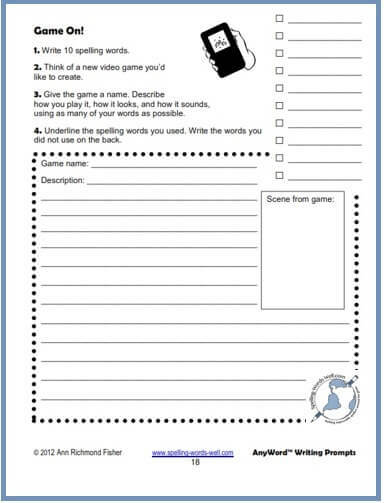 Here are the printable versions of all three worksheets. 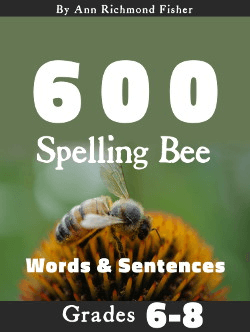 If you've enjoyed these creative writing worksheets, you just might LOVE my AnyWord Spelling Practice Series. It comes in three volumes: Word Play Puzzlers, Writing Prompts, and Partner Games & SwapSheets. The pages above are excerpts from the Writing Prompts volume. 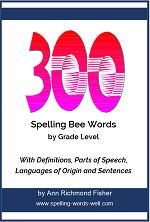 Read more about this exceptional set of spelling practice eBooks. As always, please contact me if you have any questions, either before or after your purchase. 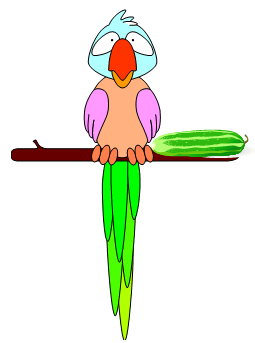 Check out all the great sets of Writing Prompts here at Spelling Words Well. Each set is geared for a specific grade and features appropriate spelling words. 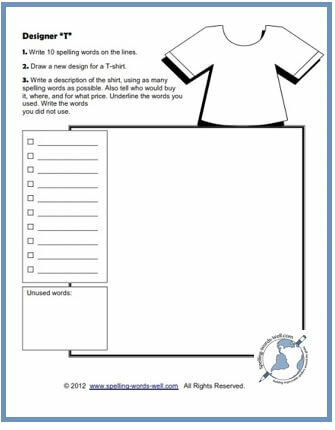 There are lots of free worksheets all over this website. Here are few, in particular, that you may enjoy if you're looking for creative writing assignments for younger students. A Fun Day and My New Job - More fun customizable stories for early learners. It Pay$ to $pell! 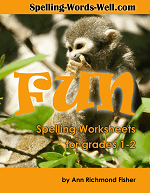 - Worksheets for primary graders that challenge their spelling, vocabulary and addition skills. Fun! Choose one letter of the alphabet. Ask kids to write the headline for a fictional news story that uses that letter as many times as possible. Then ask them to write the story in two or three paragraphs. Pose a "What If?" question for kids to write about. Examples: What if you had wings? What if there was too much food on the earth? What if oceans were dry? What if your favorite pop singer was your teacher for a day? What if your house became invisible? Choose a familiar object in your classroom, such as a pencil sharpener, stapler, or globe, etc. Ask students to describe your classroom from the perspective of that object, using personification.